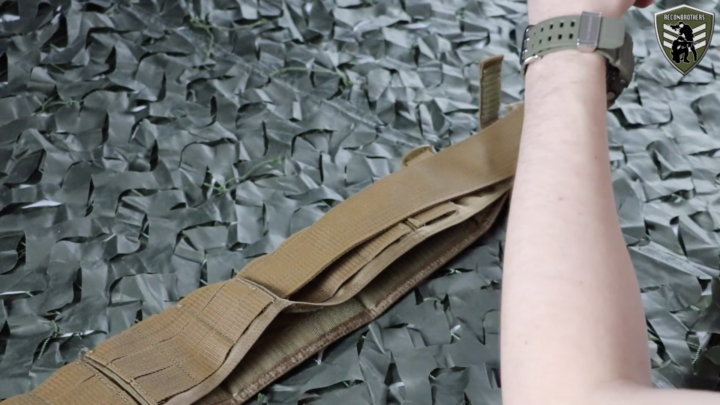 In this blog we go over choosing the best tactical belt (for airsoft & milsim). We will also share some tips and thought processes. 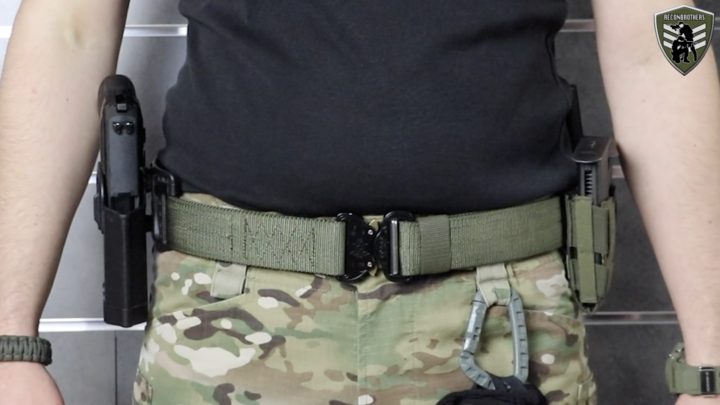 This gives you a better idea to make or adjust your own first line gear or belt setup to really make it the best tactical belt. Retention: How well does everything stay in place when you draw a mag or pistol for example? Freedom of movement: Does the belt interrupt your movements? Portability: Does the belt require you to tuck in your shirt? How can it be used in conjunction with a jacket for example? Attaching capabilities: How are you able to attach your stuff and how mush freedom of placement do you have? The simplest belt is the threated belt. You can find these in a stretchy or sturdy material. A golden rule for carrying (heavy) stuff is the less bendable the better. This way the pouches on your belt will stay better in place. These belts are very small compared to others and will not affect your movements. Retention wise they are great, because they are fixed to your pants and will not budge. 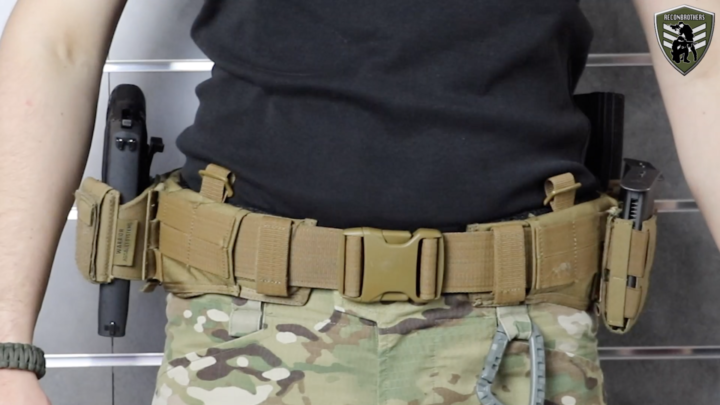 You can easily attach pouches, with a MOLLE system, on nearly 360° of the belt (except for the buckle and pant loops). Though these might not always be fixed enough. In order to be asure they are fixed enough, you want to take a look at pouches with a double MOLLE loop at the bottom. Or take a look at belt loops. Portability wise they limit you to tuck in your shirt for an easy use and are difficult to wear with a jacket. Unless you have a jacket with zippers on the side. Another disadvantage of this belt is that you have to tread you pouches every time you remove your belt from your pants. The ones we discuss next are belts that allow to keep your pouches and/or holster on your belt. The first in this category are the Equipment/Tactical belts. These are the belts we currently use. These belts are made of an inner and an outer belt. The inner belt goes in your pant loops and the outer belt, with all your pouches attached on it goes on top of the inner belt’s Velcro. These belts are as big in size as a normal/threated belt and will not affect your movements. Retention wise they are great, because the inner belt is fixed to your pants and will not budge. 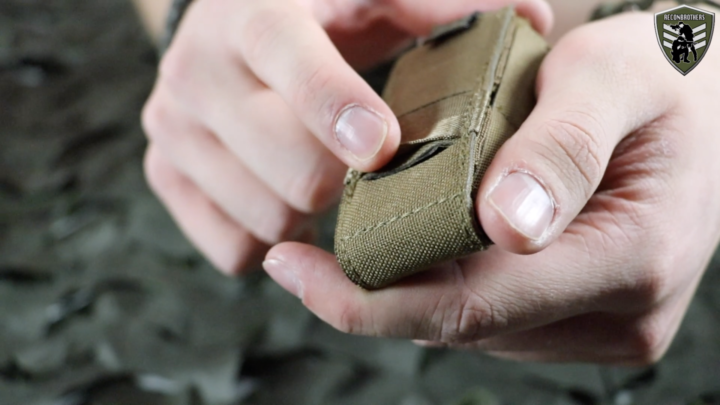 You can easily attach pouches, with a MOLLE system, on nearly 360° of the belt (except for the buckle). Again though these might not always be fixed enough, you can easily solve this by buying pouches with a double MOLLE loop at the bottom. Or consider taking a look at belt loops. Again, portability wise they limit you to tuck in your shirt for an easy use and are difficult to wear with a jacket. Unless you have a jacket with zippers on the side. The war belts, MOLLE belts or also called battle belts can be found in two versions. One are the padded versions and the other version has an inner and outer belt. Both have the advantage to carry lots of (heavy) pouches and still keep it comfortable. The padding on padded war belts are made to keep them stay in place while moving. Some padding also reduce the heat generated from your physical efforts. 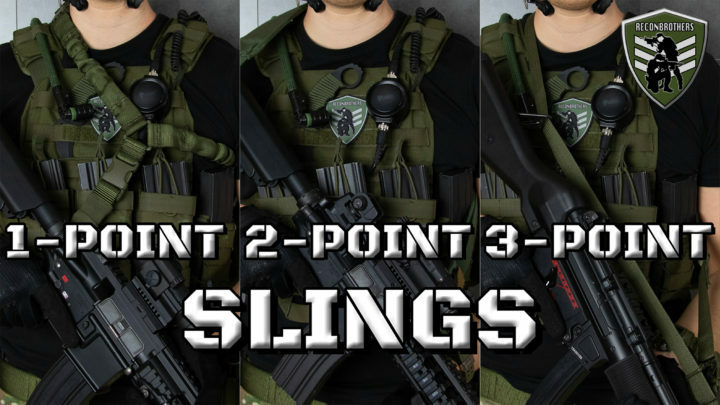 You can easily attach pouches with a MOLLE system on them. 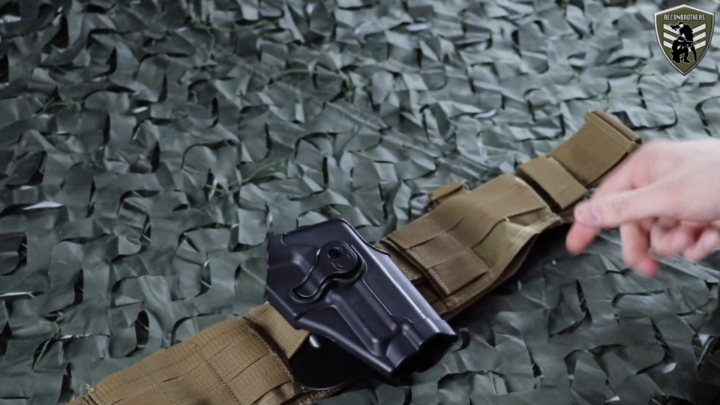 Placement is off course only limited to the amount of MOLLE loops available on the belt. Portability wise these are great, because you can wear them on top of everything. Although it doesn’t always look that cool. 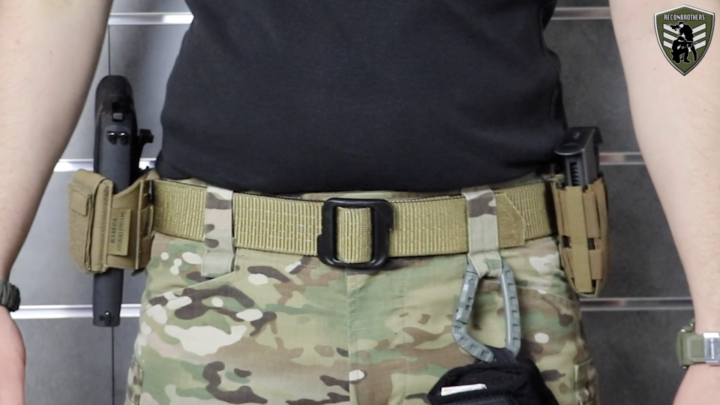 Portability wise, just like the equipment belts, they limit you to tuck in your shirt for an easy use and don’t really allow you to wear a jacket properly. Unless your jacket has zippers on the side. If you use a holster without a MOLLE system or the MOLLE adapters don’t seem to fit. 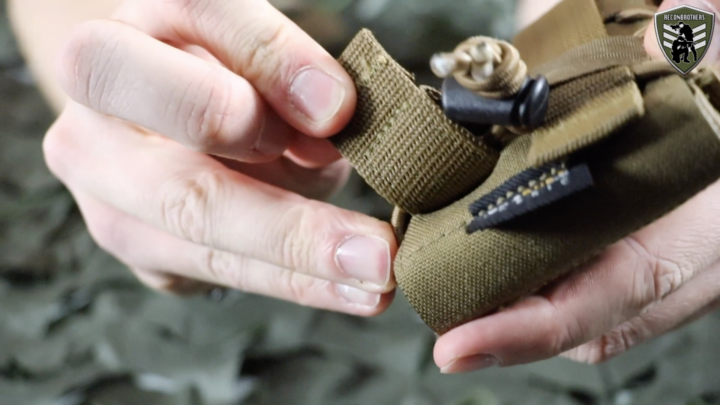 You can easily make a piece of regular belt on top of the MOLLE. You can watch how to do it on 6:06/7:36 in the video. 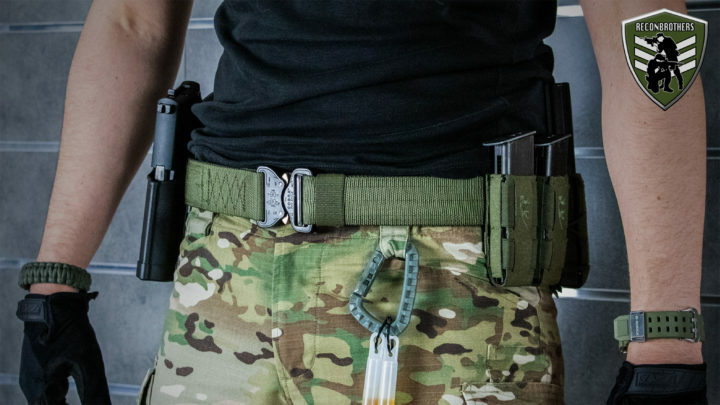 We sure hope this blog helps you to make the right decision for buying the best tactical belt. And make sure to share this blog with your friends to help them out as well.